Hope everyone is having a peaceful and happy Memorial Day weekend. 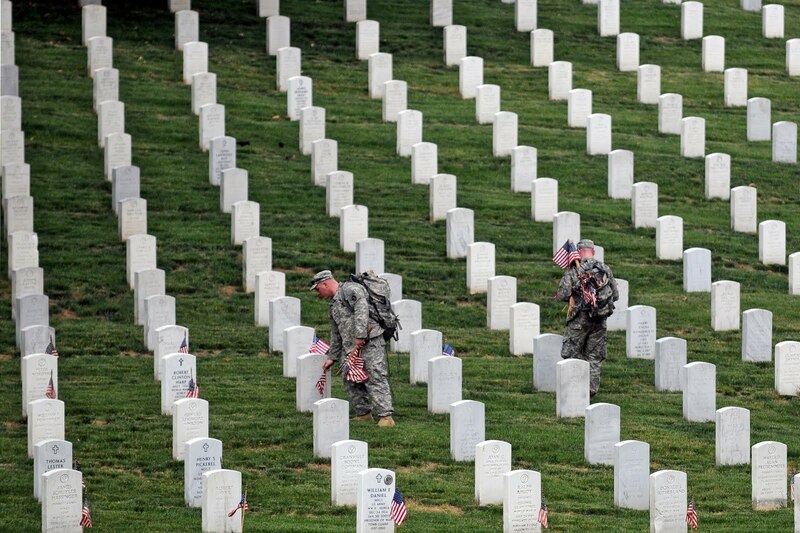 Take a moment sometime this weekend and remember all those who sacrificed to make all that we have possible. 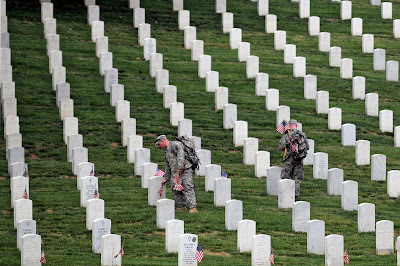 A DOD image by William P. Moss (Soldiers place flags at Arlington). Not much football news on the wires. All the professional writers seem to be taking the long week end off. 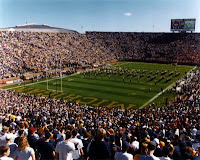 This article looks at some "small school' prospects for the 2011 NFL draft. CAA players Pat Devlin (QB Delaware) and Villanova's Ben Ijalana are mentioned. UMass fans will get to see Devlin in person on November 13th. I don't know if this will interest anyone, but when I scan UMass game programs or have other scanning projects, I use the scanning program VueScan. I have no connection with the owner, so I do not receive any compensation of any sort. But I think it far exceeds the capabilities of most manufacturer supplied software that comes with home scanners. I'm currently scanning about 2,500+ slides that Mrs Blog and I have accumulated over the years. I watch the Red Sox and every time the end-of-scan chime sounds I get up and load another four slides in my old Epson Perfection 4180 flat bed scanner. Since most photo shops or online services charge about 35 cents a slide, you can save some significant cash by scanning your collection at home. Craig Haley of The Sports Network continues his position series with "The Top Ten Defensive Backs in FCS". The only CAA player in the group is Richmond's Justin Rogers. UMass fans will get to see him at McGuirk on October 16th. The CAA has launched a dedicated CAA Football Blog. Nice! Had to accompany Mrs Blog on a shopping expedition to the Big City yesterday -------Keene NH. They have a Borders so I checked out the college football magazines. I ended up buying Sporting News College Preview as it seemed to have the most non-FBS information. It has nineteen pages covering FCS football. I also looked at (but did not buy) Lindys and Athalon. Both Sporting News and Lindys have UMass ranked 7th in the CAA. Sporting News lists UMass opponents Richmond 5th, James Madison 8th, New Hampshire 10th, William & Mary 13th, Holy Cross 14th and Delaware 18th in their preseason Top 25 list. Add Michigan to the slate and that's a pretty strong schedule. Frank McInerney, UMass AD from 1972 to 1990 has passed away. Stories by Matt Chimelis and ABC40. Matty Vautour has probably the most complete story about McInerney here. Zack Tulley, the son of former UMass linebacker Matt Tulley, plays lacrosse for Pinkerton. I've blogged about Zack before. Vladimir Ducasse continues to work with the Jets first team. Stories here and here. Wearing #99 for UMass this year is Charles Thompson a RSSo 6-3 280 pd DL. Thompson played in nine games in 2009, started 0. He had 6 UT 8 AT 14 TT 0.5-1 Sacks. He should contend for a starting DT or NG spot this year. Michigan has announced the game time for UMass. High Noon. Be there. Would Coach Rodriguez run it up against UMass to help retain his job? The UMass-Rhode Island game on Nov 20th will be at 12:30 PM. Let's hope that game is not the last in Minutemen-Ram history. If there is another team in danger of being discontinued, it's Rhode Island. The Ocean State is so broke it can't pay its tax refunds. The Sports Network's Craig Haley has his "Top 10 Offensive Linemen in FCS" article up. The only CAA member is Villanova's Ben Ijalana. Since the Wildcats are the only CAA team UMass does not play in 2010, Minutemen fans will not get to see him in person unless the two teams meet in the playoffs. Jeromy Miles wins a prestigious academic Award.
" AMHERST, Mass. - UMass senior All-American Jeromy Miles was honored with the Timothy K. Moynahan Award as the Outstanding Undergraduate Student in the UMass Amherst Kinesiology. The current Cincinnati Bengal was recognized for his perseverance and commitment to educational goals and objectives." First spotted over at Draft Daddy: Neck training could be a key to reducing brain injury to football players. Michigan self-imposes penalties for violating NCAA football rules. Three UMass football jerseys from the mid-2000's are available at the UMass on-line auction page. Only $25 so far. I paid a lot more than that for my #7 shirt. Former UMass great Jeremy Cain is still with the Jacksonville Jaguars. 2010 UMass LB recruit Matt Campbell gets a mention in this article by the Sun-Chronicle. Roger Brown of ESPN Recruiting reports on the first New England combine. Among the players who have been contacted by UMass were Lance Burlingame a 6-4 246 pd OL. Also contacted by UMass were Andrew Kestenbaum a 6-4 291 pd OL/DL and Grunde Bandso a 6-5 221 OL/DE. Both are from Dartmouth. NY Jets coach Rex Ryan thinks Vladimir Ducasse will be a "Terrific player for us". Craig Haley of The Sports Network has a look at Southern Illinois' new 15,000 seat stadium. UMass' October game at Towson will start at 7:00 PM. The MGOBlog as video of all the snaps at Michigan's Spring game here. The UMass contingent at the Michigan game grew by one yesterday when the Blog's sister, who languishes in the heart of PAC10 country in Eugene Oregon, called to say she will be joining Mrs Blog and I at the Big House in September. UNH's AD Marty Scanano talks about the Wildcats-Minutemen game at Gillette Stadium and also says UNH has opted out of a scheduled 2014 game against Boston College. Former UMass OL David Thompson has a tryout with the Hartford Colonials of the United Football League. I found this link over at the Wiz of Odds college football site. It details the practices of a number of BCS/I-A teams who deliberately over recruit their NCAA limit of 85 scholarships and then have to run players off to stay under the ceiling. Michigan has a 452 page Spring Football Media Guide available for download here. BTW, Michigan's response to alleged NCAA football rules violations is due today. The CAA Blogger is back with news from the league. The first New England football combine and recruiting seminar will be held tomorrow at Bentley. Season ticket applications from UMass are out and the Blog household has already returned ours. The 2010 home schedule for the Minutemen is a good one for fans of FCS football. Hope to see everyone at McGuirk in 2010. There should be some great football this year. I love living in New Hampshire. It's a land of excitement. Vladimir Ducasse gets mentions here and here. Vlad has been practicing with the Jets first team offense. The Sports Network has an aticle on the "Best 10 defensive linemen in FCS". Last year was a big year for defensive linemen in the CAA. This year, Haley's article lists only Martin Parker of Richmond from the CAA South. UMass fans will get to see him in Amherst on October 16th. Speaking of Richmond, spiders new HC Latrell Scott says Richmond will continue to be one of the top FCS teams. The CAA's 2010 Football Preview is available on line here. Barnstable 's D.J. Crook is generating some buzz on the recruiting circuit and he's only a junior. The UMass-UNH games at Gilette Stadium are official. Stories from the Globe, Herald and ESPN. From the Wildcats side the Laconia Citizen and WNUR. In a burst of class, a BC Blogger says "No one will watch and it's BC's God given right to be the first college team to play in Gillette". Former Northampton High football coach Frank Tudryn has passed away at age 62. Tudryn was a fixture at UMass football games when his son Jason Tudryn won four letters with the Minutemen in 92,93,94 and 95. One of the top FCS websites GoHens.net has been suspended. I'll hold the link in the Blog's sidebar for a while to see if the owner relents.. It would be a shame if trolls brought down one of the few FCS fan sites. The Montana site "The Grizzoulian" has not published since Montana lost the 2009 Championship game. That may be another site that has to be deleted. 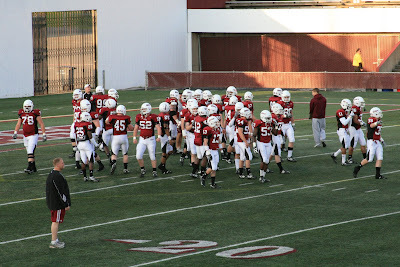 The 2010 UMass football Quick Facts page is up at the UMass Athletic Web Site. I've added it as a permanent link in the blog's sidebar. Vladimir Ducasse gets a mention in this Bleacher Report article about the Jets. Craig Haley of The Sports Network has an article on Arthur Moats of JMU and Armanti Edwards of Appalachian State. Brown will have its first ever home night game on Sept 25th against Harvard. Alabama QB Star Jackson is considering transferring to future CAA member Georgia State. Add Star to my list of favorite sports names. This year's FBS opponent Michigan will self-impose penalties for "Five major violations of NCAA rules". Craig Haley of The Sports Network latest article is "The Top 10 RB's in FCS". Haley supplies the first bulletin board material of 2010 as he picks William & Mary's Jonathan Grimes and leaves out UMass' John Griffin. Both were first team All-CAA last year. Griffin: 11 games 207-1009 4.9 AVE 5 TD 70 Lg 91.7 AVE/Game. UMass fans will get to see Griffin and the UMass offensive line go head-to-head with the Tribe on Sept 4th. The Montana Billings Gazette blogs about the Grizzlies' Chase Reynolds being the best (according to Haley) in FCS. Ricky Santos has been released from the Winnipeg Blue Bombers. A Bleacher Report writer says the UMass-Michigan game should be "a lot like the Delaware State game last year". You will remember the Hornets lost to Michigan 6-63 last year. Roger Brown who writes the New Hampshire Football Blog, now has a New England Recruiting Blog for ESPN. Another football super conference proposal from Bleacher Report. This one has the Big East becoming a mostly basketball conference that includes UMass. Former BC linebacker with UMass connections Mike McLaughlin is moving to FB for the Ravens. BTW, Matt Lawrence is still with the Ravens. The regional issues of Phil Steele's College Football Preview are dropping to three this year. However, the SEC/ACC/Big East version will have one full page on each FCS team. Mass Live has an article on the UMass 2010 schedule and start times. Good for printing out. Maine, Northeastern, Richmond, Villanova and William & Mary were five of nineteen FCS squads honored by the NCAA for their APR. Craig Haley of The Sports Network has his latest article about Old Dominion's second year in FCS football and some additional FCS news here. The first ever New England Football Combine and Recruiting Seminar will be held at Bentley this coming weekend. News on the Massachusetts Combine at Foxborough held on Wednesday. UMass AD John McCutcheon comments on Conference realignment. He says not much in it for UMass. More coverage of UMass legend Milt Morin's election to the College Hall-of-Fame. Former UMass football player Ken Kenzer has been elected into the National High School Coaches Association Hall-of-Fame. Kenzer won letters in 60,61 and 62. UMass Junior Tyler Holmes is one of the top ten LB's in FCS according to Craig Haley's latest article over at the Sports Network. UPDATE: Home Football game times announced. "AMHERST, Mass. - The 2010 home game times for UMass football have been announced starting with a 3:30 p.m., home opener vs. William & Mary on Sept. 4 at McGuirk Stadium. That game is one of at least five contests that will be televised this season. The game vs. William & Mary is one of four TV games on Comcast SportsNet New England. UMass will also play on CSN NE at 3:30 p.m., against New Hampshire (Oct. 23), at James Madison (Oct. 30) and vs. Maine (Nov. 6). UMass' game at Michigan on Sept. 18 is slated to be televised on the Big Ten Network at a time to be determined. UMass' additional home game times are as follows: Sept. 11 vs. Holy Cross at 6 p.m.; Oct. 18 vs. Richmond 3:30 p.m. for homecoming, Nov. 6 vs. Maine at 3:30 p.m.; and No.v 13 vs. Delaware at 1 p.m.
On the road, only two game times are currently known, for two televised games. Both the game vs. New Hampshire and the contest at James Madison will start at 3:30 p.m., as they are being aired on Comcast SportsNet New England. 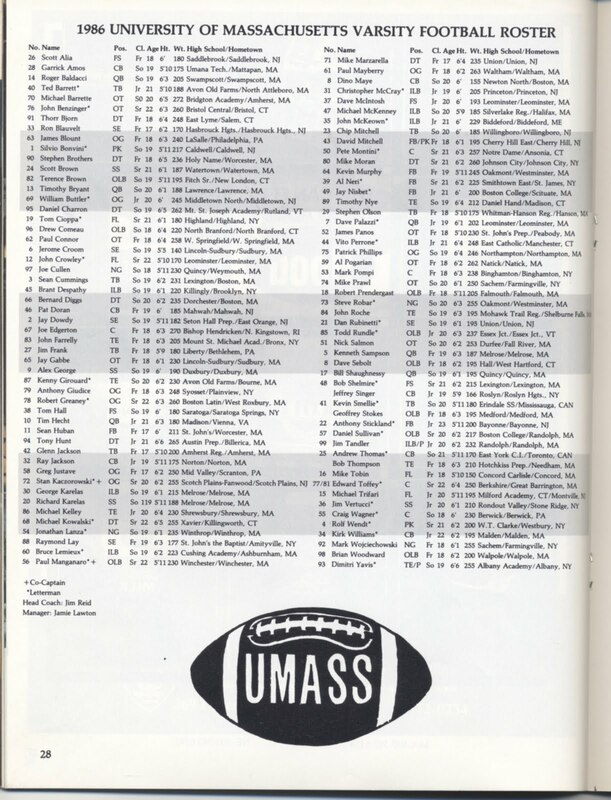 I've added 17 scans from 1986 to the "UMass Football History" collection. The link to the album is here. Note the tiny "magnifying glass' icon in the upper right of the images. Clicking that symbol presents a larger view to read text or have a closer look at the image. Click on the images above and blogger displays a much larger view. Included in the scans are articles on Ned Toffey, Mike Moran, John Benzinger, Bob Greaney and Paul Manganaro. 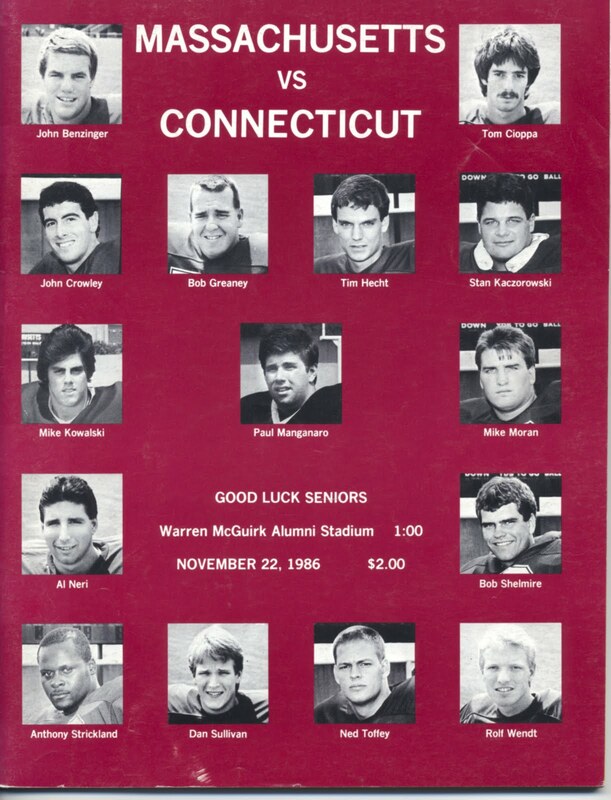 UMass went 8-3 in 1986 and were Co-Yankee Conference Champs (5-2). A 17-20 loss to UConn in the last game of the season kept the Minutemen out of the playoffs. That was the 15th Yankee Conference title for UMass. UMass QB Tim Bryant was Yankee Conference Rookie-of-the-Year. Bryant went 107-207 1,430 .517 AVE 6 TDs 111.6 EFF. 1986 Captains were Paul Manganaro and Stan Kaczoroski. All-Yankee Conference players that year were John Benzinger OT), Stan Kaczoroski (OG), John McKeon (LB), Al Neri (FB), Pete Montini (C), Todd Rundle (LB), Bob Shelmire (DB) and Dimitry Yavis (P). UMass played Maine at the Stadium at Old Orchard Beach. UMass won 23-13 in front of 8,500. Another article on the stadium renovation here. Mrs. Blog and I attended the game. 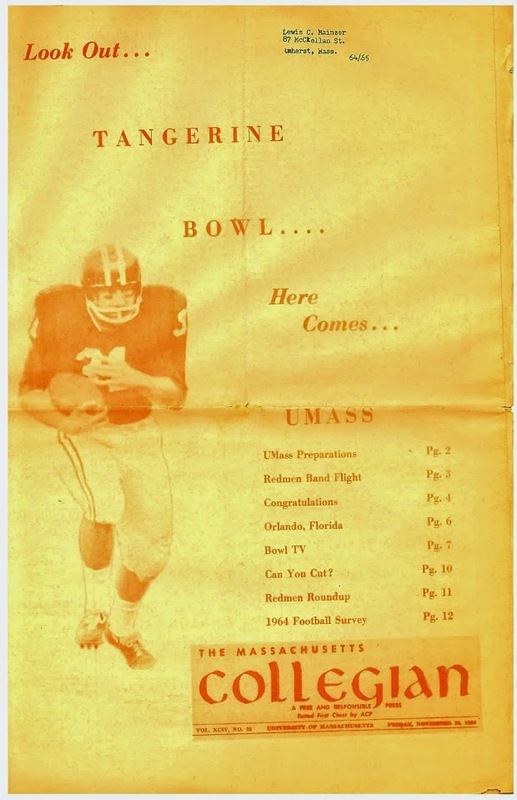 UMass also played Boston University at Nickerson Field. We won 34-25 in front of 12,000+. The two starters scans are from the BU program. The image of the 1986 UMass press guide shows the damage it took during my basement flood. 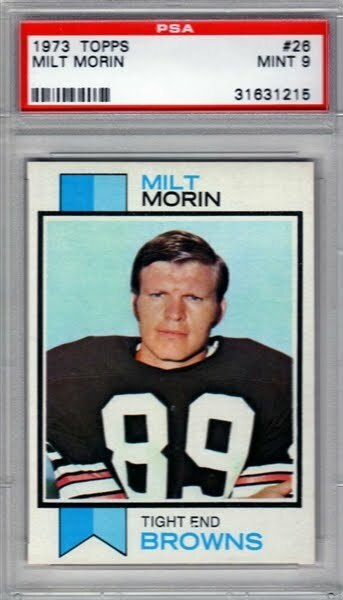 Former UMass TE and NFL All-Pro Milt Morin has been named to the College Hall of Fame. This article has more including a bio of Morin. His UMass Hall of Fame bio here. I'll be back tomorrow with some UMass History. I'm in the process of doing scans from six UMass 1986 football game programs including away games at Boston University, Holy Cross and Rhode island. Tyler Holmes' big hit on Octavious Hawkins has over 80,000 views on YouTube. Five of the nineteen FCS NFL draft picks were from the CAA. James Madison and William & Mary were two of the three FCS teams who had more than one player drafted. The business of sports journalism is rapidly changing. An interview with new Montana HC Robin Pflugman. Dylan Steigers, a player for Eastern Oregon is the second player in the last ten years to die of football related injuries. Tony Barbee says he loves Auburn Football. 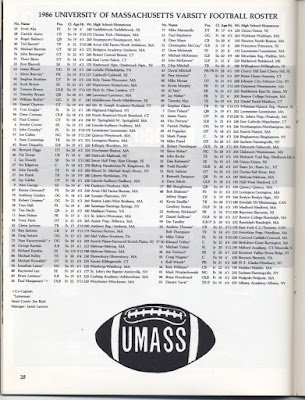 I had forgotten that his brother Chris Barbee lettered one year (1991) with UMass football. The Bleacher Report says Vladimir Ducasse will likely start for the Jets from Day One. The Giants cut Dominic Randolph of Holy Cross. I saw this link over on Draft Daddy: this sports writer says the Panthers pick of Armanti Edwards was "borderline insane". Scroll down. The Union Leader says things are looking good for UNH football. Kevin Decker is pushing R.J. Tolman for the Wildcats starting QB slot. I mentioned the big hit Tyler Holmes put on Octavious Hawkins in the Spring Game. Here it is. Chris Zardas gets some coverage in this article about the Philadelphia Eagles free agents. Craig Haley has an article over on The Sports Network about the "Top Ten Quarterbacks in FCS". Four of the ten are in the CAA. We've talked before about Boston College LB Mike McLaughlin's connections with UMass. Here's a story about his signing with the Ravens. Speaking about BC, Matty Vautour usually covers UMass basketball recruiting, but this article says that Kellogg offered to local product Dennis Clifford. He later signed with BC. UMass has set up a Travel Package to the UMass-Michigan Game. Details here. Mrs Blog and I have already made reservations on our own. The UMass package looks pretty reasonable. Kyle Havens, Warren Wilson, Mike Mele and Brandon Flanagan are on NFL Draft Scouts 2011 draft prospects data base. University of New Hampshire's defense is setting the tone for the Wildcats spring practice. Villanova's Matt Szcur is away from the Wildcats baseball team because he just donated bone marrow to save a patients life. Stories from the The Sports Network here and the Philadelphia Daily News here. If you want to play college football, go east young man. Vladimir Ducasse gets a mention in this position-by-position review of the Jets by the Bleacher Report. Vlad gets another mention in another Jets preview here. The Washington Post mentions him here. Former University of Albany RB David McCarty was sent home from a tryout by the Bucs because of an irregular heartbeat. The CAA Spring Football blogger has a new column out and it has a number of UMass related links. New Hampshire gets a key player back from a one year suspension. Speaking of New Hampshire, it can get lonely up here. Craig Haley of The Sports Network latest article touches on the increase in FCS playoff spots to 20 in the upcoming season. The article has a number of quotes from UMass AD John McCutcheon. Coach Morris will lead two football clinics for local 9th grade through high school players on June 13th and July 30th. Speakin' of playoffs, Delaware will not be excluded from hosting a FCS playoff game this year ( if they qualify) because the State of Delaware's plan for Las Vegas style sports betting has been shot down. Could UConn get a Big Ten invite? If you missed it, Syracuse completed their 2010 schedule with Colgate. Former UMass basketball star and BC basketball coach Al Skinner is a candidate for HC at Hofstra. Former UMass assistant coach Bob Karmelowicz passed away last Saturday. He was offensive line coach at UMass in 1980. Karmelowicz spent 18 years of his career in the NFL. Articles here and here. Vladimir Ducasse was named UMass Co-Senior Athlete-of-the-Year yesterday. Ducasse gets a mention in this article by the WSJ on the Jets mini-camp. Another mention here. Chris Zardas gets jersey #48 at the Eagles. Matty Vautour has an article on Northeastern and Hofstra players who have found a new home at UMass. UNH will have their Spring Game this Saturday. A UMass Collegian staffer talks about his time at UMass. The NCAA considered inviting the FCS National Champion to fill out the 70 Bowl slots that will be needed next year. The idea did not fly because the FCS team "would not have time to prepare for the bowl". Not to mention a bowl game would be the 16th game of the season for a team with only 63 scholarships. More on the appointment of Craig Haley as FCS editor at The Sports Network. The UMass Daily Collegian has an article on the Spring game here. A number of articles on Vladimir Ducasse and the Jetss. Start with this one. Key Quote"I had a great experience at UMass," Ducasse said. "If I had it to do again, I would do it all over again. A lot of good people there. They stayed with me through the good times and the bad times. I was given good advice. I listened." The NY Jets blog has a story on him here. Victor Cruz had a nice catch in the Giants mini-camp. The Boston Herald says Armanti Edwards is learning quickly. UMass' and Towson's spring games recaps are up on the CAA website. Friday was a fun day for the Blog. In the morning I hiked Pack Monadnock in southern NH. The first two images in the set are a view from the summit east and the only patch of Trillium grandiflorum we saw on the hike. The Spring Game is my first set of images on Flickr. So far I'm finding Flickr not as intuitive as Picasa. The link is here. See if it works and you can view it. I arrived about 6:30 in Amherst. Some UMass fans and families were tailgating inside the stadium. a hefty crowd of students were drinking in the usual tailgate areas outside. The students stayed outside. To me, it looked like the number of family and friends inside the stadium about tripled from last year. UMass did not announce the attendance. Special thanks to the UMass Marching Band who sent a pep squad to the game and added a lot to the ambiance . The UMass team split into two squads. Seeing the Minutemen do not dress 150 players for the game, that means some players were moved out of position to make up the squads. If anyone has any other information, add it to the comments. As I've said before, you can't take a lot out of the Spring games. Everyone is playing at 4/5 speed and trying not to get anyone hurt. Anthony Nelson, Christopher Green, Dan Sheeran, Tom Brandt Courtney Jackson and Jeffery Lingenfelter, all sat out the game (if they were wearing the correct jerseys). The most entertaining play of the game was the very first play when the white squad tried a flea flicker back to Octavious Hawkins. Tyler Holmes came flying in and leveled Hawkins, who did a vertical 180 spin. He came up laughing. Probably the most impressive thing I saw was the pass receiving. Unlike one recent year, the receivers caught about everything that was catchable. Jesse Julmiste looked fast and shifty. Woody Carter IV, playing WR had a couple of good catches. Tom Gilson had four catches and Julian Colarusso had three. Johathan Hernandez had a TD catch. Not much to report on quarterbacks. Hawkins and Kyle Havens had almost identical stats. Third String QB Jesse Hunt looked as if he belonged. John Griffin, the Northeastern transfer looked fast. Sean Unterkoefler was playing FB. Jamar Smith also looked fast. It seems we will have a speed backfield this year. Unless we move someone from another position, we do not have a 240 pd fullback. With the defense broken up into two squads, it was harder to spot defensive standouts. Red shirt freshmen Christian Birt and Ryan Carter were around the ball a lot. All in all, I thought the offense looked promising. Even with all the turnovers last year, we were #2 in the CAA in total offense. This year shows promise if we hold on to the ball. I had a good time at the UMass Football "Spring Fling" last night. I'll be back tomorrow with an image gallery and a report. Mrs Blog has a big "Honey Do" day planned for me today. The UMass writeup on the Spring Game is here. Link includes post-game interviews. Craig Haley's latest column over at The Sports Network says UMass' first 2010 opponent William & Mary is loaded. A report from Rhode Island's Spring Game. You remember Hofstra gave their new BB coach a $700,000 contract? He was arrested Friday for DWI while being found passed out in his car at a stop light.